Growing up in Glasgow and Irvine, Eddi busked and performed at the local folk clubs before literally joining the circus in the early 1980s. After travelling around Europe with performance artists, Eddi moved to London where she quickly became a sought after session vocalist. She famously harmonized with Annie Lennox, touring with the Eurythmics, after her time with successful punk outfit Gang of Four. It was the short-lived but warmly remembered Fairground Attraction that really brought her into the limelight and to the attention of a much wider audience. The single 'Perfect' and parent album First of a Million Kisses both topped the British charts. 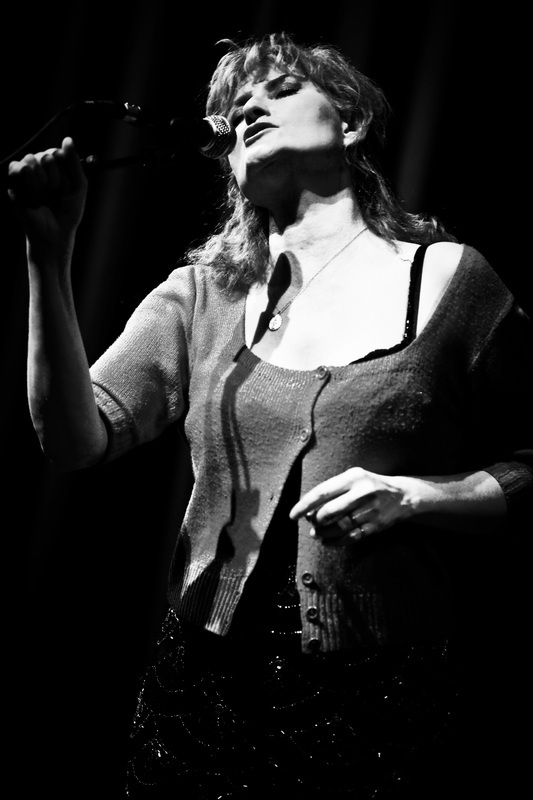 In 2001, Eddi moved back to Glasgow, where she recorded the classic 'Songs Of Robert Burns' album which was released to international acclaim in 2003. Eddi toured this album all over the world, finding connections to the Scottish bard everywhere from Kolkata, India to Sydney, Australia. 2010-12 saw Eddi playing sold out shows to promote "Love Is The Way" worldwide and also brought Eddi's Hollywood movie debut when she featured in "Me And Orson Welles" with Zak Efron and Clare Danes. Eddi plays a chanteuse in the movie and is featured singing 'Lets Pretend That There's A Moon' with the Jools Holland Orchestra.